We are finally getting a break from the heat here in Philadelphia, but for a few days, it seemed like nothing I did could cool me down. I even resorted to looking up alternative solutions to staying cool at night with no clear winner. The worst suggestion: dampen a towel, freeze it, and then lay it on the bed prior to sleeping. Who thinks these things up? I can just use my imagination to know that that is a horrible idea. Not only would I probably still be hot in the middle of the night, I would now have a soaked mattress. Basically, turning on the oven was not an option. These lettuce wraps were the perfect nearly no-cook solution to this heat wave. Crunchy, salty, punchy, and fresh, the filling in these little cups can be made ahead of time and scooped in your choice of green whenever you are ready. Or forgo the lettuce leaf and eat the filling all by itself. 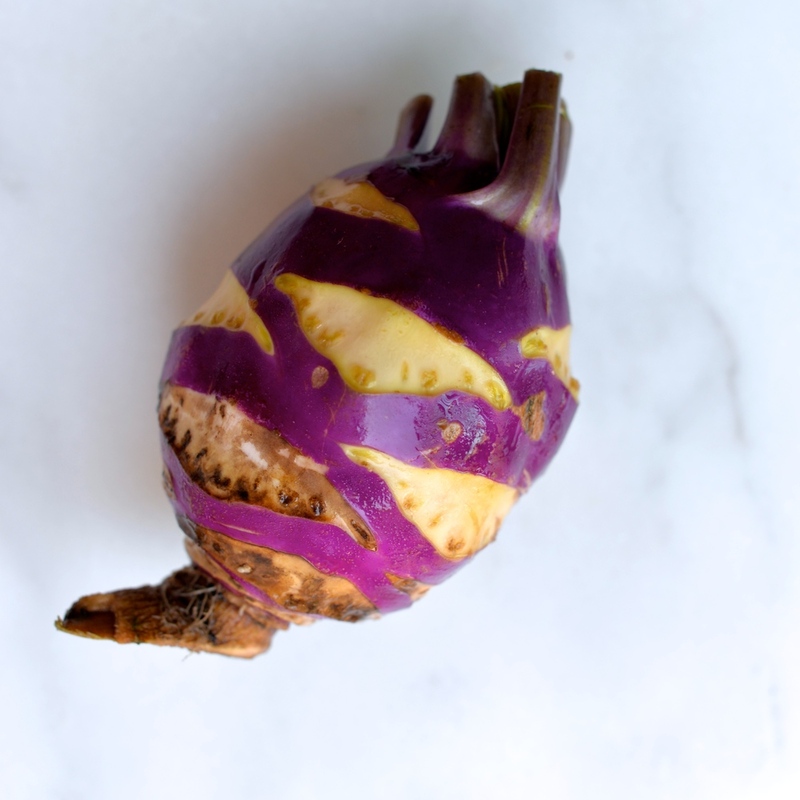 Kohlrabi is one of those vegetables that I would see at the farmers' markets but could never could commit to buying. I never knew what to do with it. It was not until my mother decided to grow some in her garden one year where we had no choice but to figure out how to use it. Once you start cooking with it, you will see that it has a lot of potential. It comes from the cabbage family and is mild in flavor, but it has a wonderful crunchy, almost starchy texture. In these wraps, it fills in for the rice or grain that I would typically go for and has a wonderful clean flavor. The filling is punchy. Fresh parsley, Dijon mustard, kalamata olives, and red wine vinegar really give a lot of flavor. Roasted red peppers, beluga lentils, extra-virgin olive oil and toasted walnuts help round everything out. It is vegan as is, but I am sure this would be delicious with some crumbled feta, goat cheese, or fresh mozzarella sliced on top. Make the dressing. Combine the red wine vinegar, mustard, olive oil, and olives in a small bowl and whisk to combine. Set aside. In a larger bowl, combine the parsley, chopped red pepper, minced red onions, diced kohlrabi, cooked lentils, and chopped walnuts in a bowl and stir to combine. Pour dressing over mix and stir until everything is well coated. Fill lettuce leaves with vegetable mixture. Enjoy! Serves 4.